Come learn how to make a Jelly Roll Rug. Learn how to use, maintain and enjoy your BERNINA Sewing Machine. This class is free of charge to customers who purchase their machines at The Sewing Palace. Call to register. Join in on the party! We have many monthly sewing groups you can join. Learn how to machine embroider, how to applique, hand embroider or quilt! Come join in! 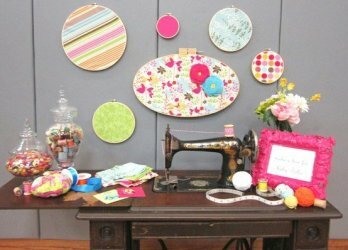 Sewing Club - bring show and tell for an extra entry into prize drawing. We love to see what you have been working on. This class is all about the ruler-quilting. Piece your blocks at home and quilt them in class! The quilt is called Star Light, Star Bright Sampler. This is a block of the month class hosted from Fall 2018 to Late Summer 2019. Students create a large quilt learning many sewing, applique, cutting and quilting techniques throughout the year. Learn to foundation paper piecing and make a traditional quilt with a modern slant. Learn the Quilt as You Go Technique on a bright spring table runner. This is an ongoing class where we use a different ruler or learn a new technique each month, and explore their uses. Learn the basics and much more. Your will get lots of practice using rulers in the Sew Steady (Westalee) Starter set. 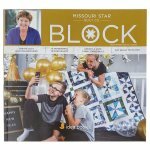 Make a bunch of quilt blocks and learn how to quilt! Earn free fabric. Create and learn to quilt over the course of a year. Class every month, earn free fabric if you finish your 12" block each month. Learn the basics of quilting, cutting, pressing, sewing and half square triangles. This is a basic beginner class. Explore machine quilting with your walking foot.